Showing results by narrator "Suzzanne Douglas"
Three Los Angeles women who’ve helped each other overcome heartbreak are reunited eight years later when their troublesome exes come back into the picture in this follow up to Victoria Christopher Murray’s bestselling novel The Ex Files. Sheridan, Kendall, and Asia first bonded when they met seven years ago at a church prayer support group and now, their friendship has blossomed into a strong sisterhood. They've helped each other through the tragedies of their breakups and together, they've celebrated their triumphs. But now, their exes are back, wreaking havoc on lives they've work so hard to rebuild. 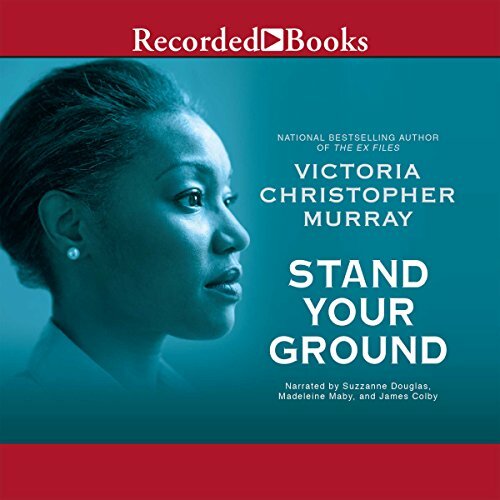 Stand Your Ground is the story of three women who find themselves thrown together because of the most horrible of situations. Janice Johnson suffers through every mother's nightmare when she finds out that her 16-year-old son, Marquis, was murdered in the parking lot of a convenience store. But she and her husband's horror becomes greater when they find out that the shooter has not been arrested. The Johnsons begin a quest to get justice for their son - though the Johnsons want to take different roads to justice.